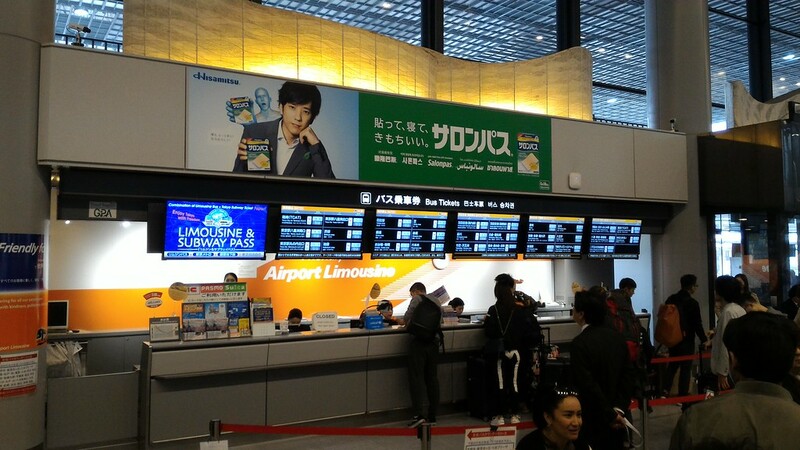 For most travelers, Tokyo’s Narita International Airport (NRT), will be their gateway to Japan. 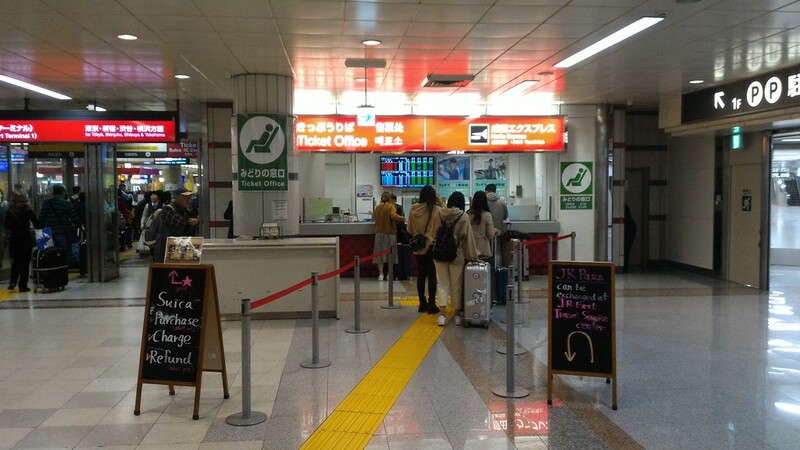 Here is a step-by-step guide to arriving at the airport and getting everything you need for a great stay in Japan. 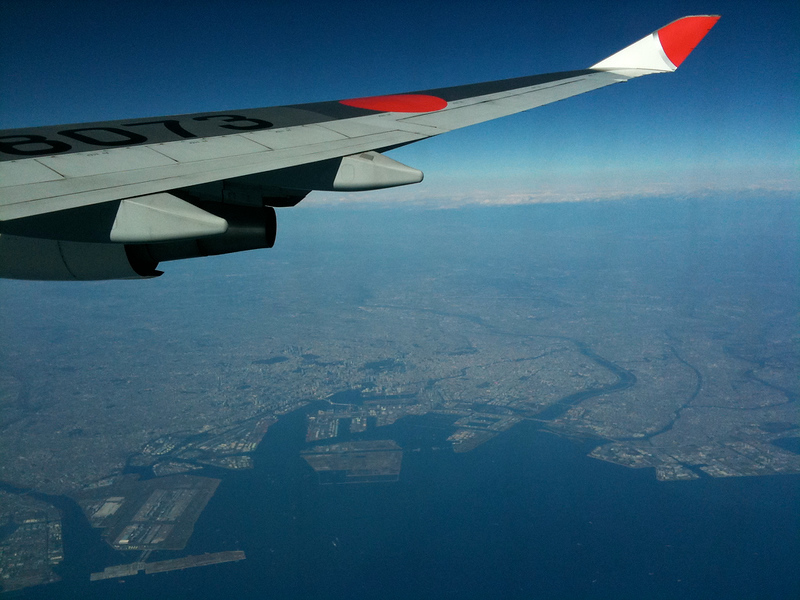 Two airports serve Tokyo: Haneda (HND) and Narita (NRT). 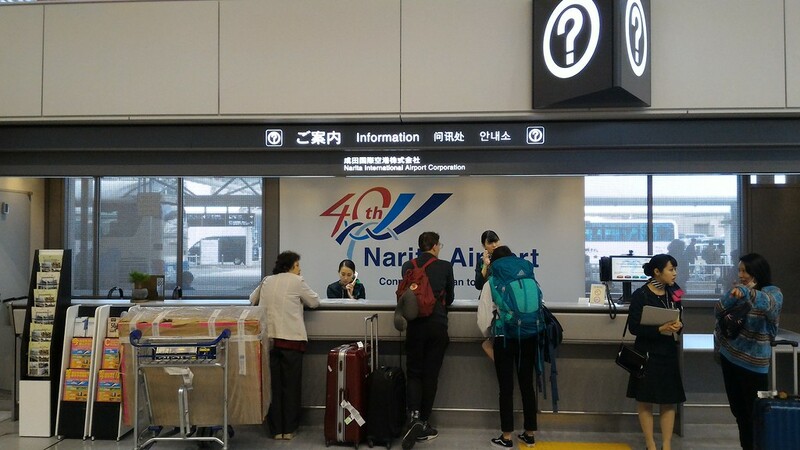 Haneda is closer and more convenient, but Narita handles most international flights. 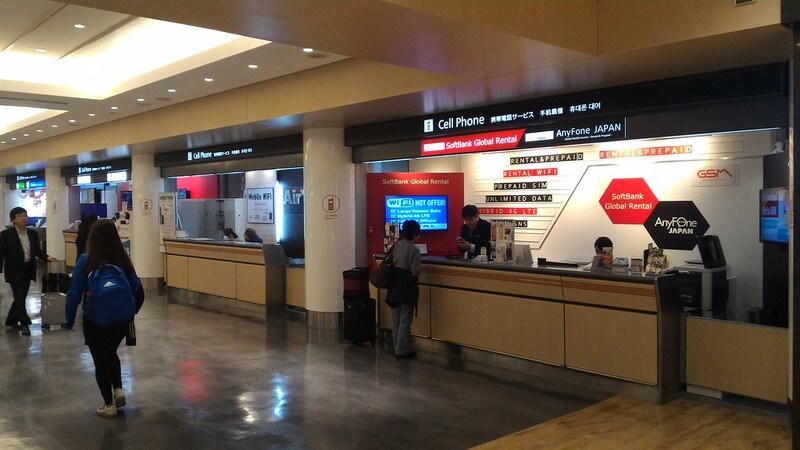 Narita is an efficient, modern airport where you can get everything you need for your stay in Japan. What do you need? Amazingly, you can take care of all of this within 200 meters of exiting the customs hall into the arrivals hall. 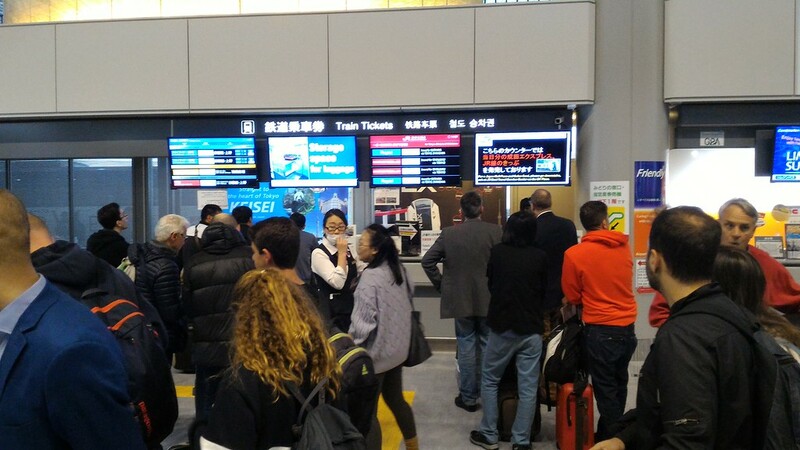 If you’re timing is good and it’s not too crowded, you can get all this taken care of within half an hour and be sitting on the Narita Express sipping a cup of coffee racing into Tokyo to start one of the most incredible experiences of your life. Here are all the details. 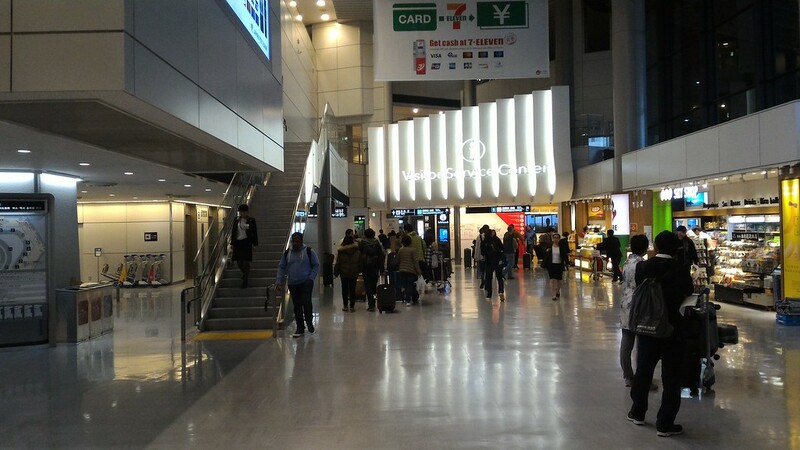 Note, the following guide covers Terminal 1, which is Narita’s biggest terminal. I describe the process of emerging from customs in the South Wing of Terminal 1. Terminal 2 is very similar and the facilities are the same, but locations differ slightly. Once you clear immigration and customs, you will pass through automatic doors into the arrivals hall. It can be crowded here, but not nearly as chaotic as some other airports. Directly in front of you, you will see a small counter selling JR and Keisei line train tickets. Savvy travelers buy their train tickets here, since the lines are usually much longer downstairs. You can use credit cards, so Japanese cash is not necessary. But, you cannot convert exchange passes into Japan Rail Passes here (you can do that downstairs). Next to the train ticket counter, you will see the limousine bus ticket counter. If you’ve got a lot of luggage and don’t want to deal with taking it through train stations, these buses are a great way to get into the city. For details on trains, buses and taxis between Narita and Tokyo, see our Tokyo Airport Transport page. Nearby, you will see an information counter. The bilingual ladies here are incredibly helpful and can help with all kinds of questions. At the extreme end of the hall, you will find luggage delivery services (takkyubin). Savvy travelers use these to ship their big bags or suitcases to their first night’s hotel, then board their train/bus/taxi with nothing but a light knapsack or shoulder bag. The luggage will usually arrive the next day. When you stand with your back to customs and have the bus and train counters in front of you, if you take a left, you will be headed for the central part of the terminal arrivals area. Here you can get money, train passes, SIM cards etc. It’s also the direction for trains. 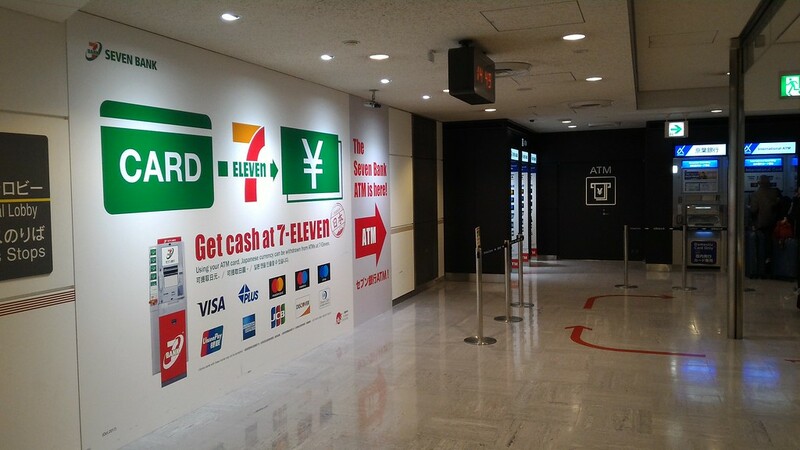 On your left, just before the escalators, you will find 7-11 ATMs. This is a great place to get Japanese cash and the machines work with most international cards. 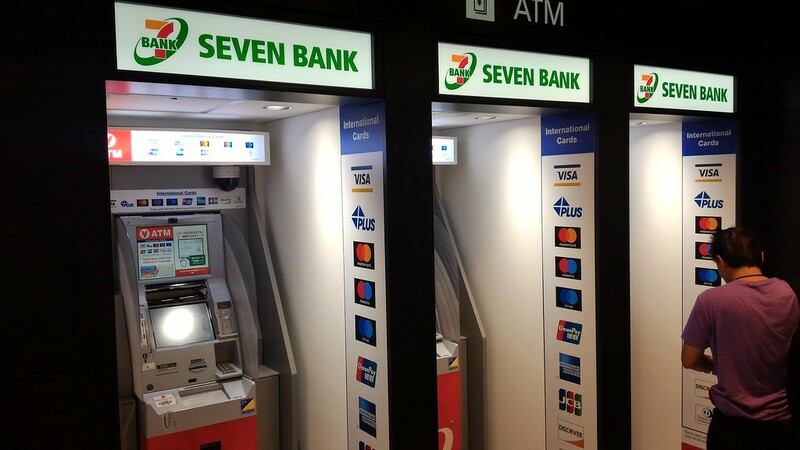 The ATMs are marked “7 Bank” and the international cash networks they accept are clearly listed. English instructions are available. If you walk just past the escalators, you will find yourself at a JTB Travel Service Center. You can buy a Japan Rail Pass here, in case you did not do so before arriving in Japan. Just to the right of the JTB Travel Service Center, you will find counters where you can buy SIM cards, and rent pocket wifis and cell phones. Rates and prices are generally pretty similar, but you might want to shop around for the best deal. For the complete lowdown on internet and phone issues in Japan, see our Internet in Japan for Tourists page. 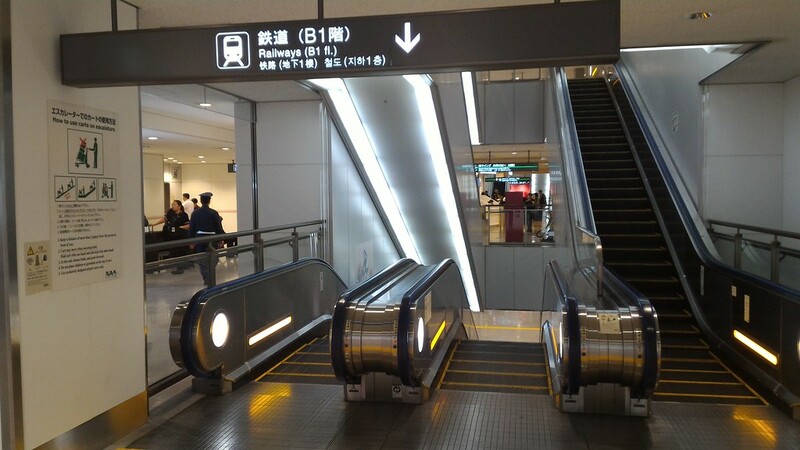 To get to the train station and JR/Keisei ticket offices, take the nearby escalators down to the B1 floor. It’s clearly marked. 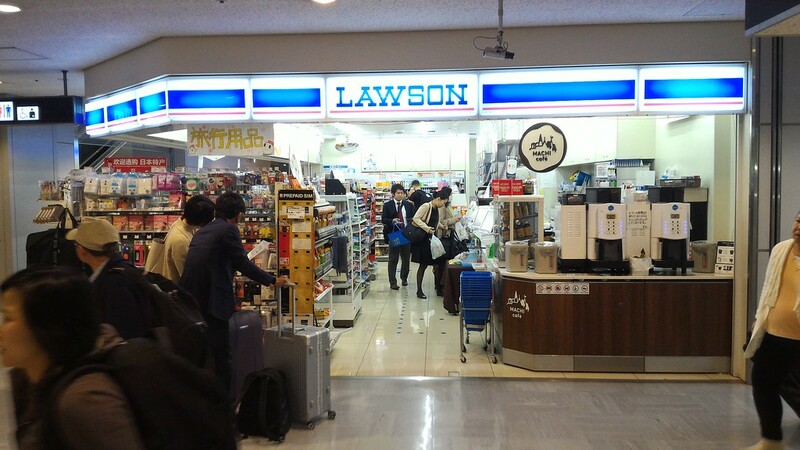 On your left, at the bottom of the escalators, you will find a Lawson convenience store, where you can buy all kinds of snacks and drinks. There’s an ATM here that works with many international cards. If your card doesn't work here, head back upstairs to the 7-11 ATMs. 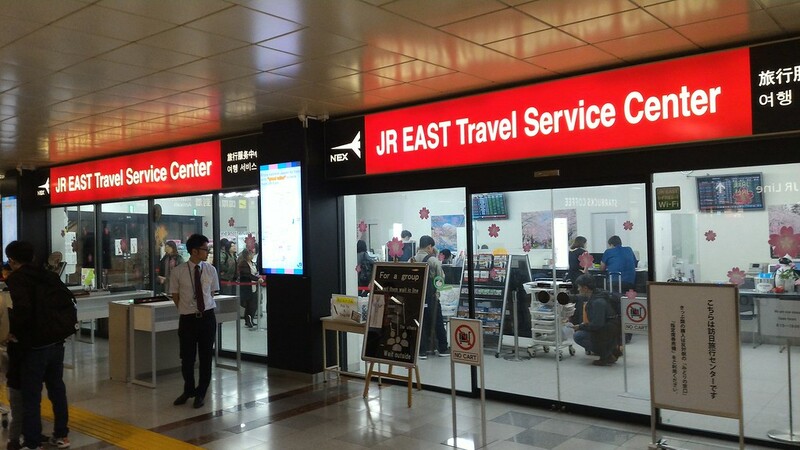 On your right as you enter the main concourse on the B1 level, you will see the JR East Travel Service Center. 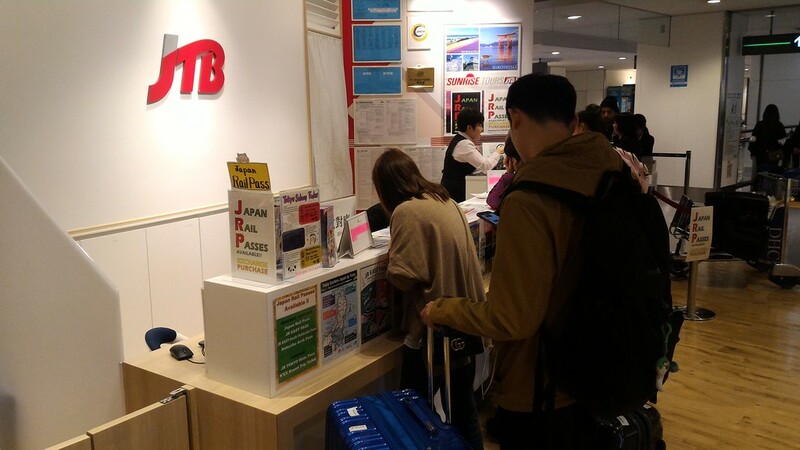 This is the place to convert a Japan Rail Pass exchange voucher into the actual pass. 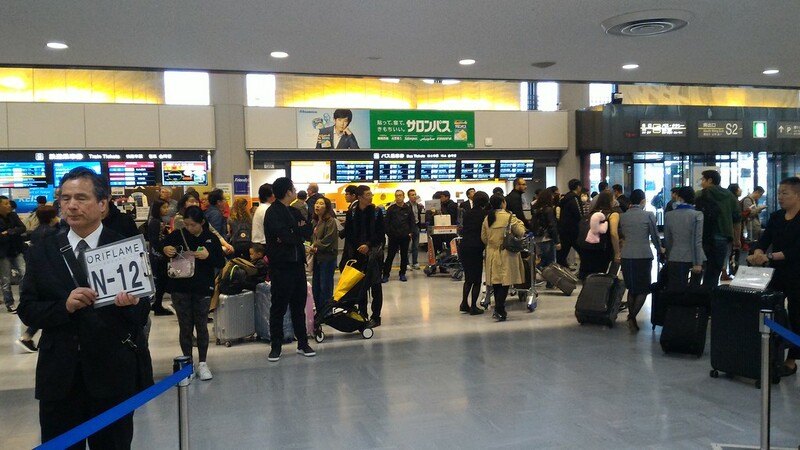 Note that if the line is long or if you are planning to spend your first few days in Tokyo, you should buy your train ticket with cash and exchange your pass in Tokyo. Note, you can buy train tickets at the regular JR counter near the JR turnstiles, and the line is usually much shorter and faster here. 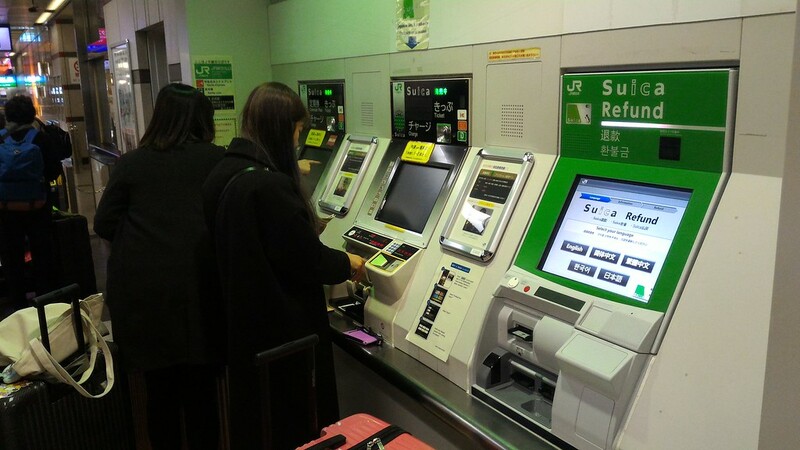 You can also buy JR tickets from the ticket machines if you have Japanese cash. 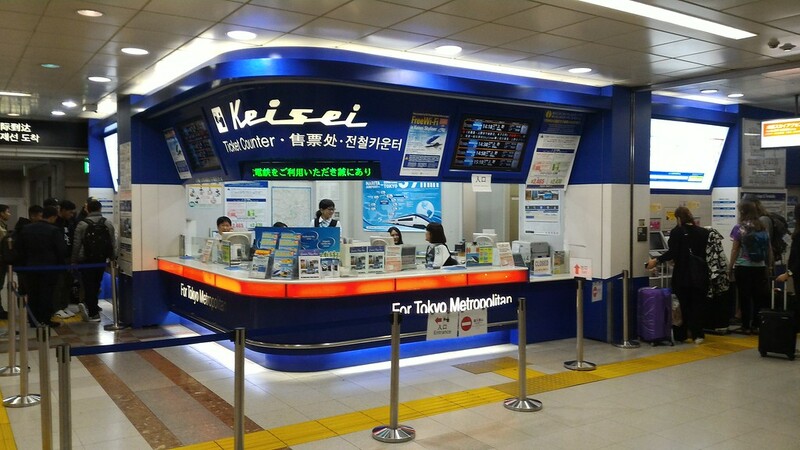 Also on your right as you enter the main concourse on the B1 level, you will see the Keisei Information Center. The Keisei Line is a private rail line that runs between Narita and Ueno and Nippori Stations in Tokyo. 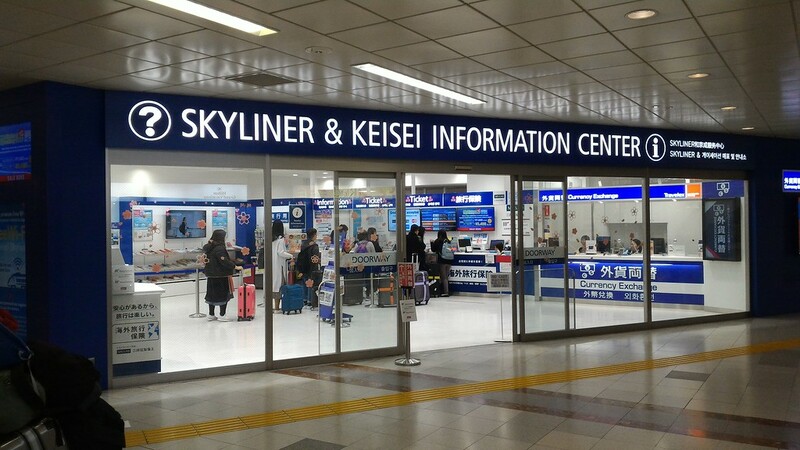 Their Skyliner airport express will get you to Ueno in 41 minutes. 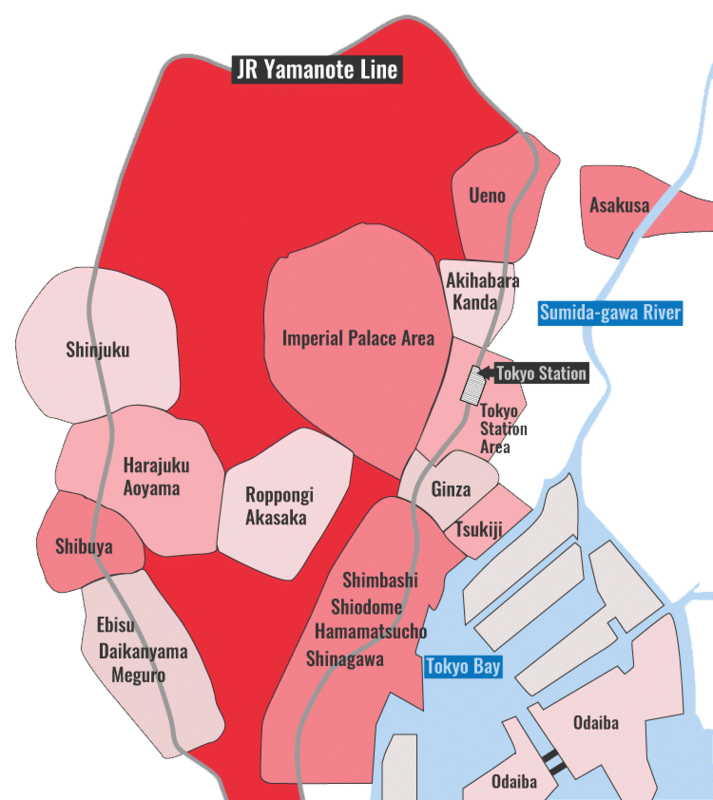 It’s a good choice for those staying in Ueno, Asakusa and other area on the northeast side of Tokyo. It’s also a good choice if the lines at the JR ticket counters are very long. 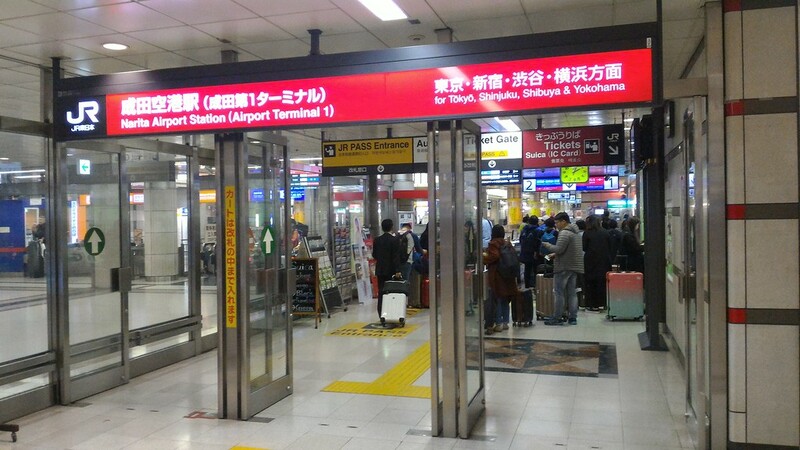 The JR ticket machines are on the right, shortly before the entrance to the JR train platforms. These are a little fiddly to use and you’ll need Japanese cash as they don’t work with foreign credit cards. Still, if you’re up for the challenge, these can save you a lot of time if the lines are long at the service center and ticket counter. There’s usually someone on hand who can help you work the machine. 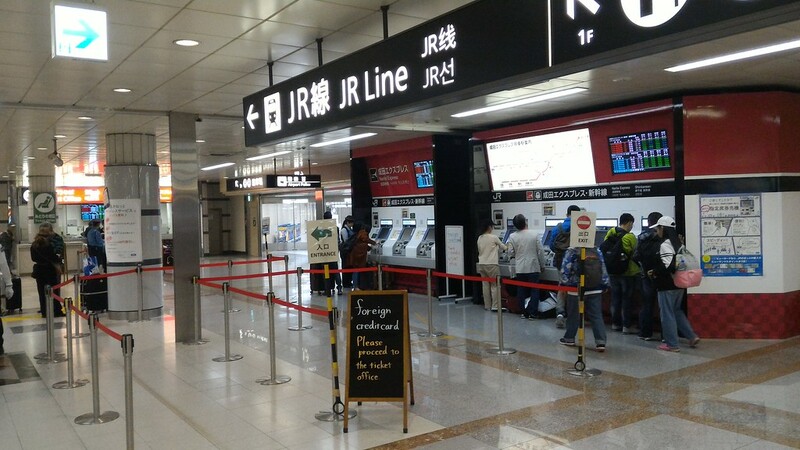 The JR ticket counter is a good place to buy your Narita Express ticket if you aren’t using a Japan Rail Pass and don’t want to deal with the machines. You enter the JR station itself via the turnstiles on the right side, at the far end of the concourse. Just before the JR turnstiles, you will find a bank of three machines. The one closest to the turnstiles is where you can buy a SUICA card. These super-useful cards are highly recommended. For full details, see our Tokyo Smart Cards: Pasmo and Suica page. Next to the JR entrance is the entrance for Keisei Line trains. Use this if you’re taking the Keisei Line (Skyliner etc) into Tokyo. For full details on trains, buses and taxis between Narita Airport and Tokyo, see our Tokyo Airport Transport page. 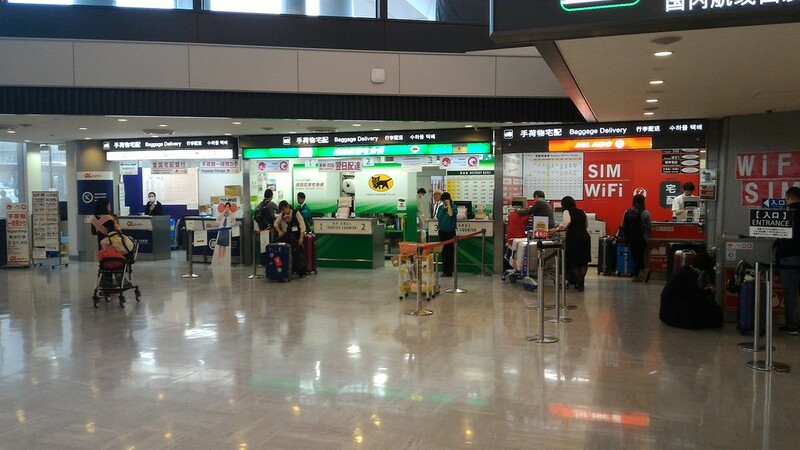 For full details on SIM cards, pocket wifi and cell phone rentals, see our Internet in Japan for Tourists page. For some recommended hotels for your stay in Tokyo, see our Tokyo Hotels page.